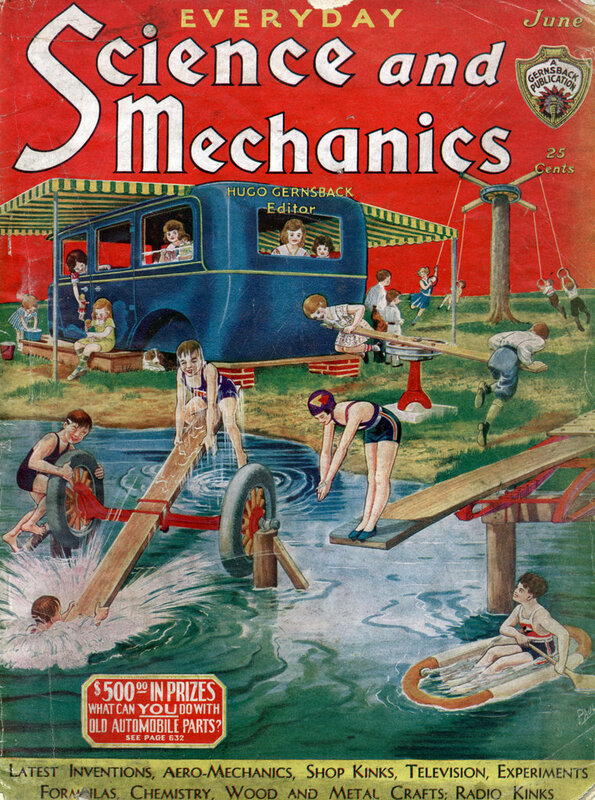 HIGH SPEED is the watchword of this age, more than of any other which has preceded it. The eighteenth century provided no means to attain a high speed of travel. Even the loftiest building from which one could jump would not give you the speed of arrival with which a motor car or a plane can now strike an obstacle. Used to travel at forty, fifty, sixty miles an hour, so smoothly that there is hardly a sensation of motion, it is hard for us to appreciate what a high velocity really means. Our forefathers, riding on horseback or in a coach, had successive vigorous bumps and thumps by which to estimate their rate of progress; and it is not surprising that they considered that the shock of thirty miles an hour would be too much for the human frame. 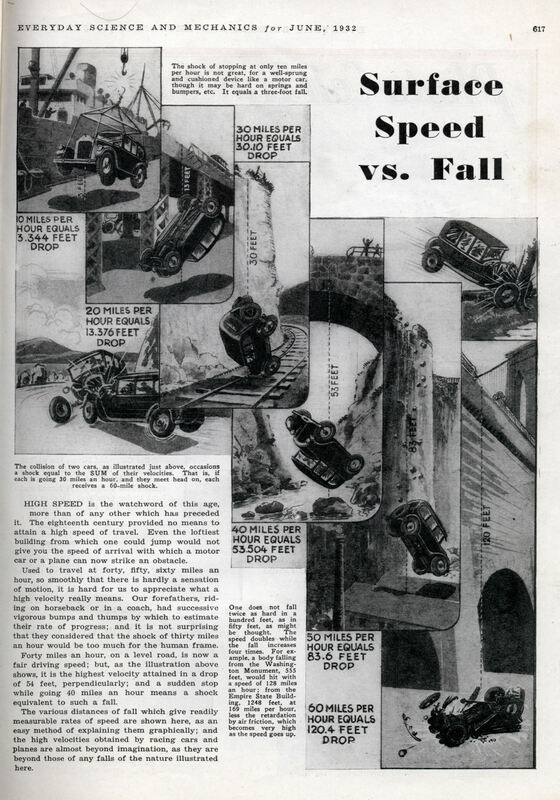 Forty miles an hour, on a level road, is now a fair driving speed; but, as the illustration above shows, it is the highest velocity attained in a drop of 54 feet, perpendicularly; and a sudden stop while going 40 miles an hour means a shock equivalent to such a fall. The various distances of fall which give readily measurable rates of speed are shown here, as an easy method of explaining them graphically; and the high velocities obtained by racing cars and planes are almost beyond imagination, as they are beyond those of any falls of the nature illustrated here.